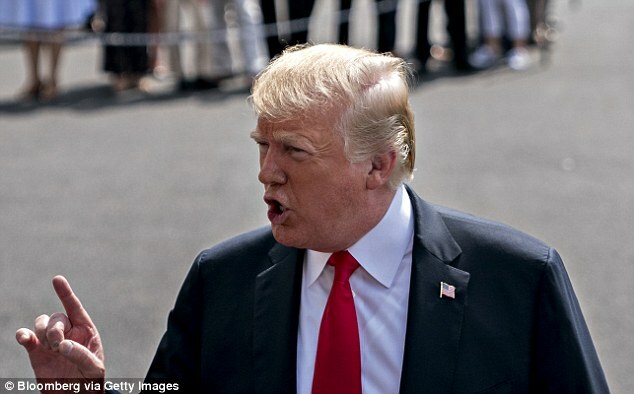 'Speaking loudly and clearly for the Trump Administration, we won’t let that happen,' the president tweeted early Saturday morning. 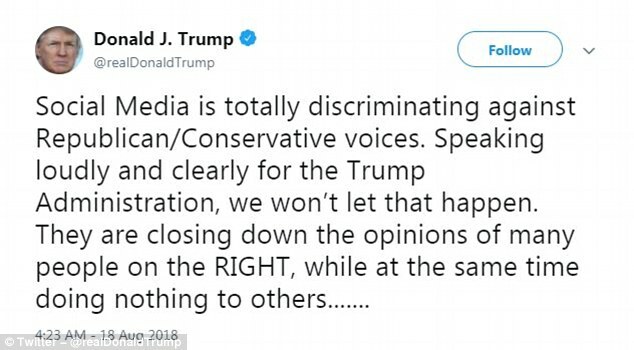 'They are closing down the opinions of many people on the RIGHT, while at the same time doing nothing to others. 'Censorship is a very dangerous thing & absolutely impossible to police. 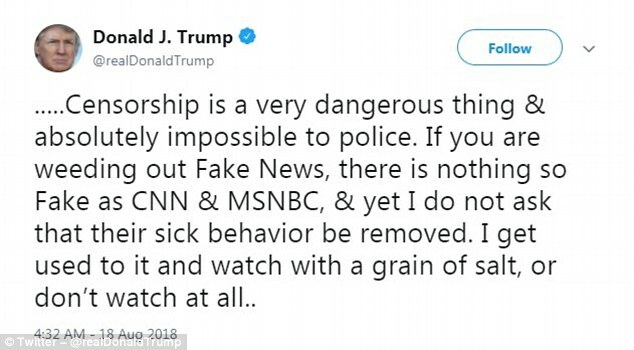 'If you are weeding out Fake News, there is nothing so Fake as CNN & MSNBC, & yet I do not ask that their sick behavior be removed. 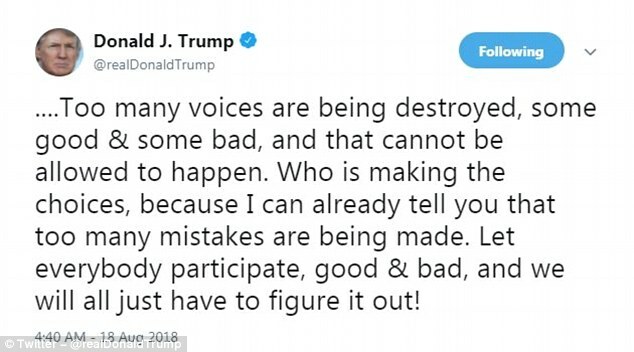 The president continued: 'Too many voices are being destroyed, some good & some bad, and that cannot be allowed to happen. 'Who is making the choices, because I can already tell you that too many mistakes are being made. 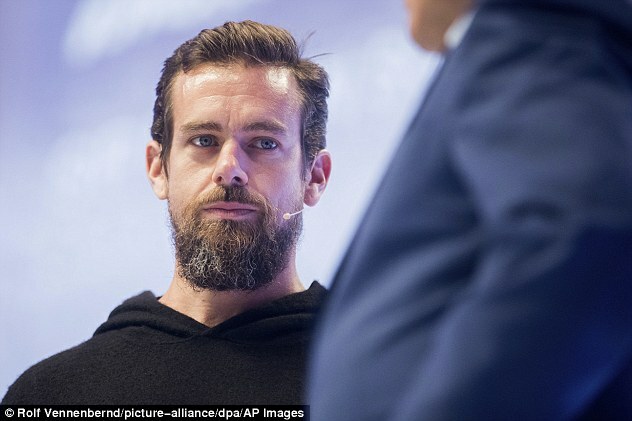 Twitter CEO Jack Dorsey this week defended the social media network's decision to put Infowars' Alex Jones in a seven-day 'timeout'. 'We can't build a service that is subjective just to the whims of what we personally believe,' Dorsey told NBC News' Lester Holt in an exclusive interview. Twitter confirmed he can still browse Twitter posts, but can't interact with other users by tweeting, retweeting or liking posts. 'I feel any suspension, whether it be a permanent or a temporary one, makes someone think about their actions and their behaviors,' Dorsey said. 'Whether it works within this case to change some of those behaviors and change some of those actions, I don't know,' Dorsey said. 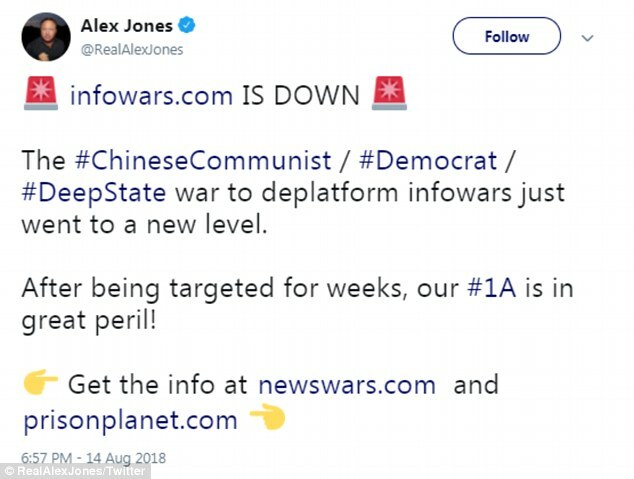 The ban was imposed after InfoWars creator Jones tweeted a link to an online video calling for supporters to get their 'battle rifles' ready against media and others. 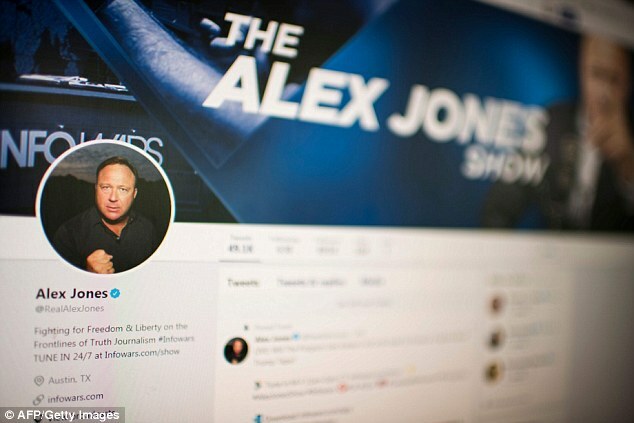 Austin-based right-wing broadcaster Jones, who believes the 2012 Sandy Hook Elementary School mass shooting was a hoax, won't be able to tweet or retweet from his personal account for the next seven days, although he can still browse Twitter. Dorsey said he feels 'terrible' at the pain Jones has caused the Sandy Hook families and acknowledged that the company had been slow to respond. 'I think we have felt behind and we have felt that we have moved too slow in a lot of our actions,' he said. 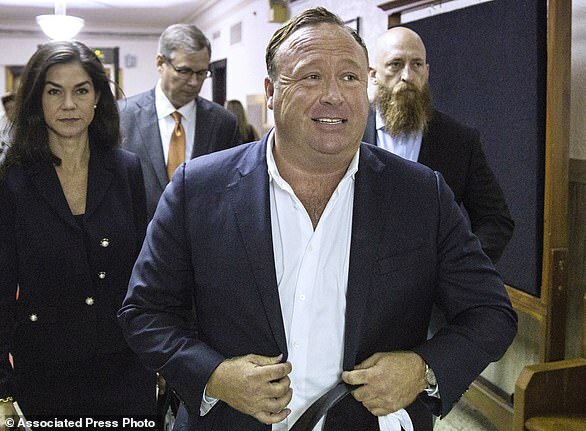 Jones says his 'InfoWars' shows, which are broadcast on radio, YouTube and other platforms, reach at least 70 million people a week. Jones has also claimed that the September 11, 2001 attacks on New York and Washington were staged by the US government.